De VVAK organiseert een lezingenprogramma rond het thema ‘India’, met Professor Jos Gommans over zijn nieuwste publicatie, Rijksmuseumconservator Anna Slaczka, onderzoeker Isabella Nardi en conservator Amélie Couvrat Desvergnes. Aansluitend een bezoek aan de tentoonstelling Indiase miniaturen. 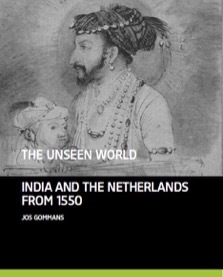 Title lecture: Indo-Dutch Entanglements in the Age of Rembrandt, on Gommans’ latest book The Unseen World (March 2018) that offers a connective, comparative and entangled perspective on the relations between the Netherlands and India during the seventeenth century. 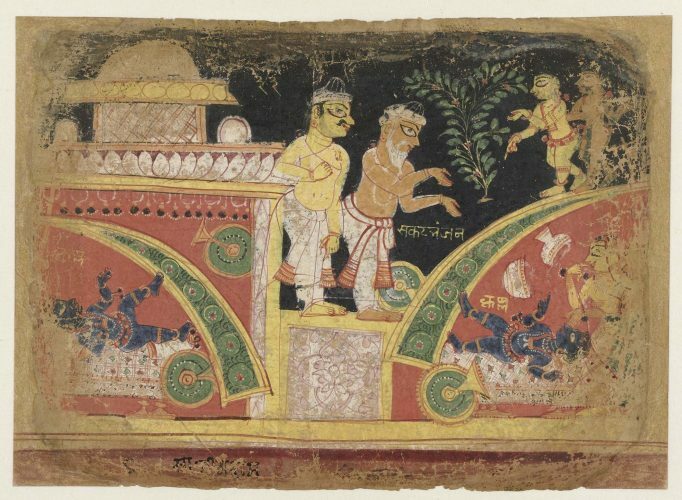 Title lecture: Kṛṣṇa Overturning the Cart: unfolding the visual history of a page from the ‘Palam’ Bhāgavata Purāṇa. Title lecture: Pahari paintings and drawings from the Rijksmuseum: techniques of production and approach to conservation. Jos J.L. Gommans holds the chair of Colonial and Global History at the University of Leiden. He specializes in the early modern history of South Asia and its connections with the outside world. His major publications include The Rise of the Indo-Afghan Empire, c.1710-1780(Leiden, 1995; Delhi, 1999; Delhi, 2018) and Mughal Warfare: Indian Frontiers and High Roads to Empire, 1500-1700(London, 2002). More recently he focused on the history of the Dutch colonial empire, published two historical atlases and Exploring the Dutch Empire (London 2016) with Catia Antunes and The Dutch Overseas Empirewith Piet Emmer (Cambridge, forthcoming). This year an omnibus of his work was published as The Indian Frontier: Horse and Warband in the Making of Empires (Delhi 2018). Isabella Nardi (PhD, SOAS) specializes in South Asian art history with particular reference to painting and visual culture from Rajasthan (16th to 20th centuries). Currently, she is researching the history of devotional painting and photography from the Hindu pilgrimage town of Nathdwara. In the past she worked and published on Sanskrit technical treatises on the theory of painting and their relation to the practice of Indian traditional arts. Formerly, she was Research Fellow at the Metropolitan Museum of Art and Visiting Professor at Jawaharlal Nehru University, University of Oregon and Cleveland State University. Amélie Couvrat Desvergnes-MA- is a book and paper conservator specialized in Islamic and Indo-Islamic manuscripts and paintings. She worked at the Museum of Islamic Art in Qatar and more than ten years as free-lance conservator in France. At present she works the paper atelier of the conservation department at Rijksmuseum Amsterdam. She has conducted several research projects in the field Technical Art History and Materiality and she is now focusing her interest in Pahari drawings and paintings from the Rijksmuseum.